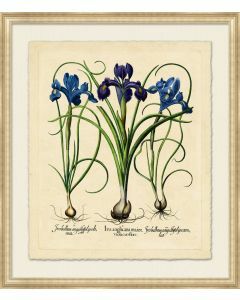 This elegant wall art features a Besslers Iris botanical giclee on paper framed as pictured. It measures 27” x 31”. 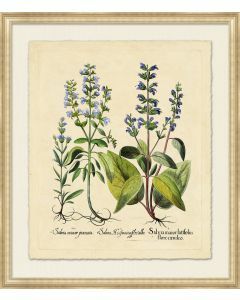 Please note that this wall art goes into production once your order is received. It is custom made to order and may not be returned. Ships via motor freight.